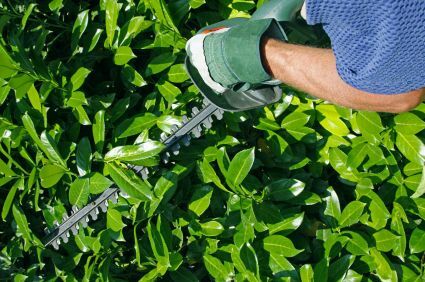 Shrub pruning is an often overlooked, but still important part of landscaping maintenance. Shrub pruning should always be part of your lawn maintenance routine. If your shrubs have slipped through the cracks, that is understandable. Shrubbery grows slower and needs less frequent maintenance than other parts of your landscaping, like your grass. Educating yourself is half of the battle when it comes to landscape maintenance. Not sure why shrub pruning is important? Let us help! The main reason we encourage regular pruning and maintenance of your shrubs is bugs. Summer means more bugs and they are looking for any opportunity to get inside your house and wreck havoc. Due to their typically close position to your house, shrubs are basically rolling out a red carpet for bugs. Another important reason for shrub pruning is the same reason for removing dead limbs on trees. Damaged limbs on shrubs are certainly less likely to cause the serious damage that dead tree limbs, but they still cause damage nonetheless. In addition to inviting bugs into your home and causing damage, ragged or dead shrubs can make your home look less polished. It is much less satisfying to pull up to your home and see dying shrubs every day. It is especially important if you are attempting to sell your home. First impressions are important, and your landscaping is one of the first things potential buyers will notice about your home, because it is the first thing they see when they arrive at your home. So to recap, shrub maintenance important for avoiding bug invasions and damage, but it is important in increasing the aesthetics of your home. If shrub pruning is not something you’ve ever given a second thought to, let the professionals at Sharp Tree Service handle the job. Call us today for more information and a FREE QUOTE.